The story of Flowers by Donna Jean has a rich history of struggle and triumph. The building where FBDJ stands today has stood for over 120 years. When you walk into the store your walking on original hardwood floors and as you look up you will notice the turn of the century tin stamped ceilings. 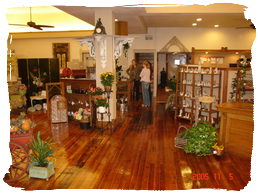 The store is filled with a wide variety of local art and antiques. From paintings and jewelry to furniture and flowers- Donna Jean's is a great place to be inspired to find your next unique gift for that special someone! A must stop for any Woodward Iowa daytrip. Before becoming Flowers By Donna Jean the store has been through a lot of stages. Originally built as two stores in late 1800s- the location has been a pharmacy, clothing store, post office and even red cross station during World War II. Like Donna Jean herself- the store has been through many different stages throughout the years blending new with the classic. 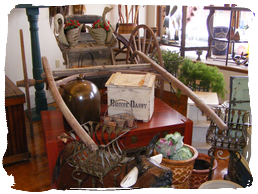 Today it is only a short drive from Des Moines... make a stop at Donna Jeans to browse the huge selection of antiques, art and gifts. 9-5 Monday through Friday weather your calling or stopping in you'll likely to be talking and hiring the CEO herself to make your special occasion even more beautiful with a personalized flower arrangement.